khatam karee means "hand-inlaid." 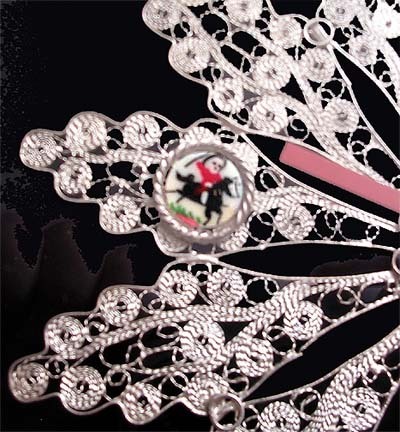 To inlay is to apply wood or other materials in geometric shapes to decorate the surface of various objects. 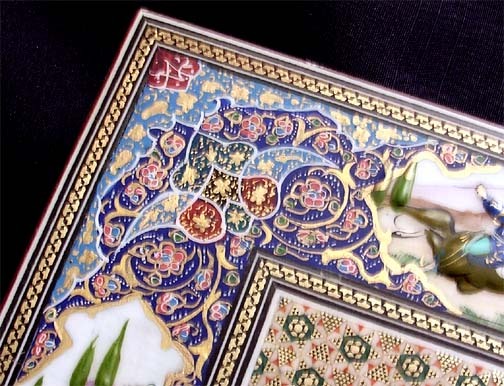 The average is 250 pieces for every cubic centimeter of inlaid work. 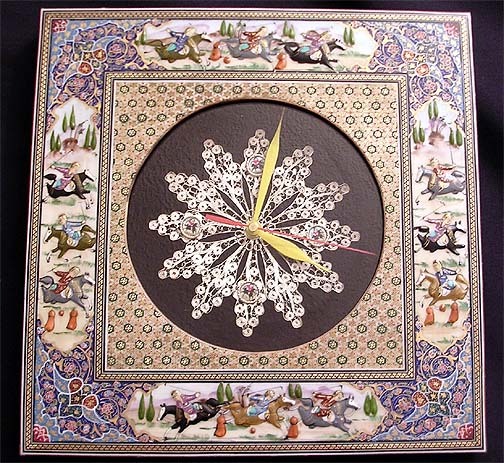 The clock frame features this inlay, accented with embossed paintings and the intricate esleemee (there is no exact translation) design. The paintings feature a polo match. The game was brought to Persia by the Mongols, who, led by the legendary Genghis Khan, invaded the western lands in the 13th century and left a lasting influence on Persian arts and culture. 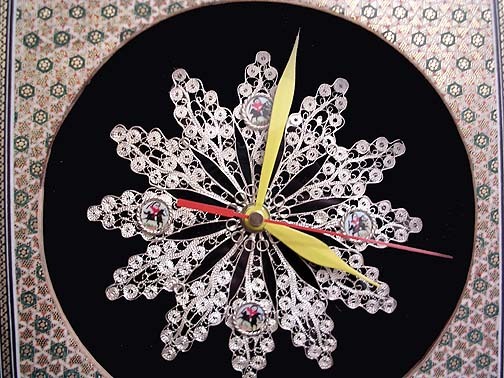 The clock face features a design known in Persian as maleelay karee, which does not have a precise translation - it resembles lace or embroidery, though it is made of metal. Dimensions: 12.25" (31.5 cm) square.